Are you planning on finally getting and moving into your own home? Are you a business or leisure traveller who wants an ideal temporary home base? Well, look no further as CDC Holdings, Inc.’s newest project is set to give you both and more! Combining the vibrancy of Citadines, the green living of Ascott and the local touch of CDC, the property is expected to provide a sense of home partnered with balanced-city living as it is conveniently located within a stone’s throw distance from the corporate row and various lifestyle options including malls, dining and entertainment enclaves as well as fitness and wellness establishments. For those also on the lookout to invest, the property has 90 units which can be bought as an investor unit and be managed for the owner by Ascott as a serviced apartment. Truly a nice way to establish the generation of passive income! 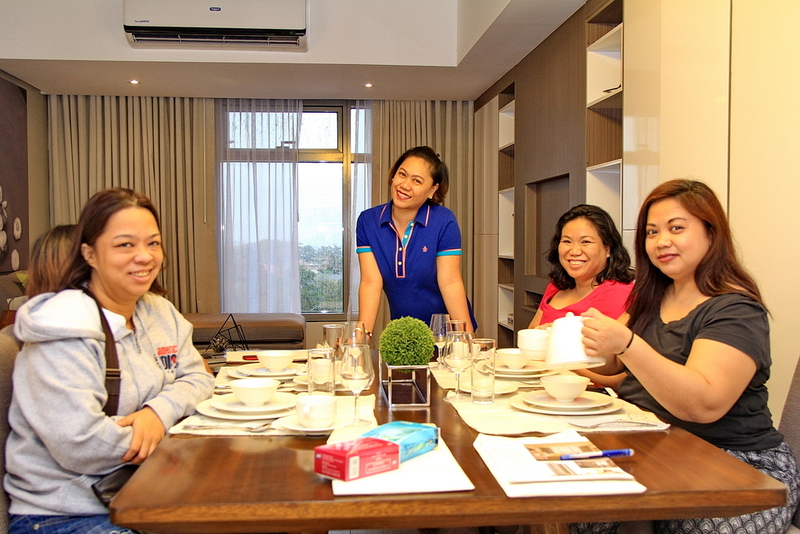 We had first dibs as CDC Holdings formally unveiled to us the property during its formal turn-over ceremony. Worth noting is the conscious effort of recreating nature all throughout the design without losing the perfect homey feel. Kenneth Cobonpue furniture creations also abound in various areas of the property including the lobby lounge. If you are a couple or a family looking for a short holiday escape, a business executive who want an ideal home base still being at the center of it all or one on the lookout for a place to call home, the Citadines might be the “it” choice for you. CDC Holdings and The Ascott Limited (Ascott) recently reached another milestone as CDC Holdings handed over its second residence project to Ascott. The Citadines Millennium Ortigas Manila is the newest international serviced residence located in the bustling Ortigas Center in Pasig City. The 32-storey mixed-use property combines 290 serviced residences managed by Ascott and 96 residential condominiums in the thriving North of Manila. Ortigas Center is one of the metro’s major commercial and business districts, which is home to multinationals, BPOs, and pharmaceutical companies. Citadines Millennium Ortigas Manila is expected to answer the discerning needs of expats, young business executives and long-term leisure travellers looking for a luxurious accommodation that provides the comfort and warmth of home, as well as an efficient, and professional service of a hotel. 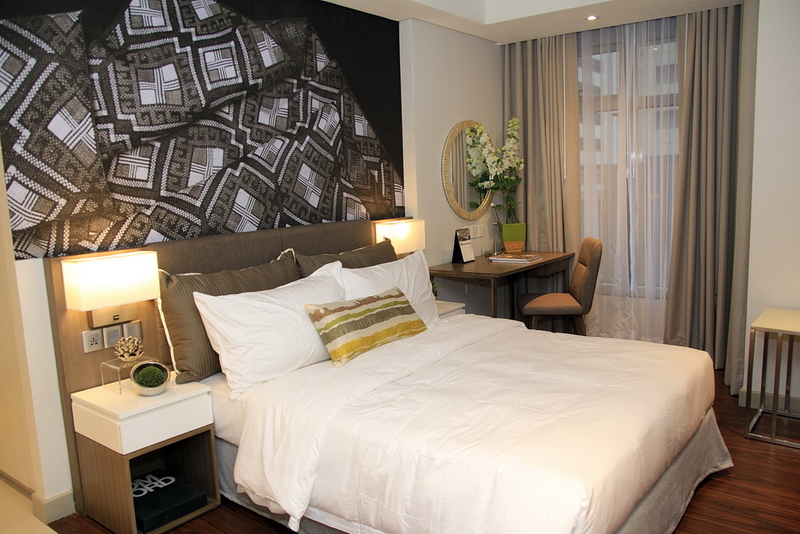 “With Citadines Millennium Ortigas Manila, CDC Holdings has gone above and beyond to deliver an outstanding property in a most-sought after location in Ortigas,” shares Elsie Chua, president and chief executive of CDC Holdings, Inc., the development company behind the newest serviced residence property in Ortigas. Residents and guests will truly feel at home with this newest serviced residence with its well-thought-of interiors and tasteful and vibrant design that magnify the property’s distinctive artsy vibe mixed with elements of nature. CDC Holdings has tapped RMDA Architects, spearheaded by Architect Rolly Mercado and Almario & Associates under Cynthia and Ivy Almario, for the design aesthetics. All throughout the building, greenery is incorporated as part of the building features. For a cohesive look design pieces are likewise inspired by nature, including the hallway carpets and couches in vibrant green color that are found in the lobby. This also features unique and innovative designs like Kenneth Cobonpue’s “The Bloom Chair,” an award-winning lounge piece reminiscent of the delicate soft petals of the Hibiscus-flower. And to add Filipino touch, the apartments’ interiors have various displays of framed photos of indigenous Filipino materials like the vibrant banig and the intricate barong, which are likewise works of art. Citadines Millennium Ortigas Manila features pockets of green with its garden deck found at the building’s 4th floor, providing the serenity and beauty of nature amidst the bustling city. The successful partnership between CDC Holdings and The Ascott Limited began 17 years ago with Somerset Millennium in Makati. Arthur Gindap, The Ascott Limited’s Regional General Manager for the Philippines and Thailand said, “We have been working closely with CDC Holdings for almost two decades already. Our first collaboration, the Somerset Millennium Makati, has created a solid foundation of our partnership and we look forward to this second venture with them with the opening of Citadines Millennium Ortigas Manila, which is Ascott’s first managed property North of Manila. With a portfolio of over 290 properties spread out across 100 cities worldwide, The Ascott Limited is the world’s biggest international serviced residence owner-operator. The Ascott brand is a reputable name in property management. Citadines Millennium Ortigas Manila offers corporate guests and leisure travelers 290 premier units located from the 4th to the 24th floor, ranging from studio to one-, two-, and three-bedroom apartments. Each unit is spacious and reminiscent of home, with separate living and dining areas, fully equipped kitchen and wireless internet. Art comes to life in the property with its vibrant design, artworks and other pieces, making it a unique home in the city. Citadines Millennium Ortigas Manila also has a guest lounge, garden deck, swimming pool and a fitness center for residents’ and guests’ exclusive use. Meanwhile, CDC Millennium Ortigas, the residential apartments located from the 25th to the 30th floor, have a private entrance along Sapphire Road. 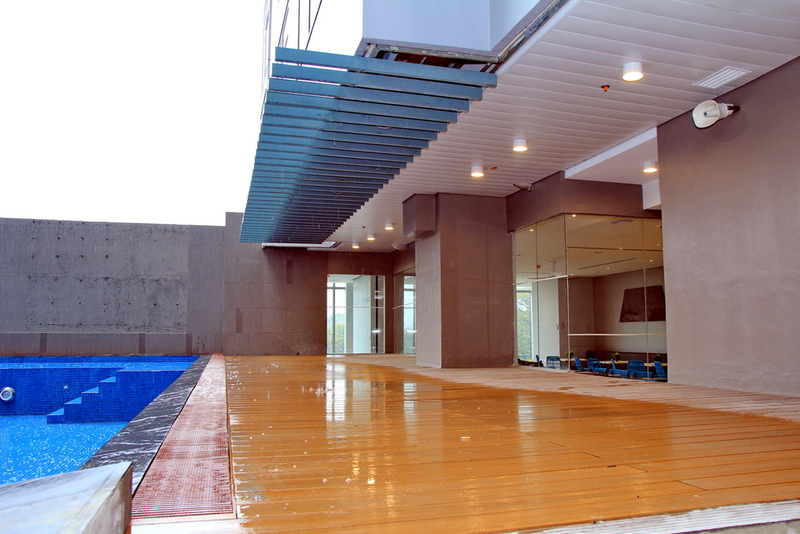 There are also separate amenities (pool and Sky Lounge) at the 31st and 32nd floors. The residential apartments cater primarily to independent professionals who love city living. CDC Millennium Ortigas’ location provides easy access to other key areas such as Pasig, Greenhills, Mandaluyong, and Makati. Citadines Millennium Ortigas Manila is set to formally open in April 2017.